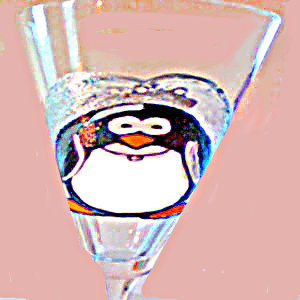 Wedding glassware in bride and groom bride and groom champagne glasses come in all sorts of whimsical designs.Here Mr. and Mrs. Penguin are getting married and boy does the bride look nervous. Maybe she is thinking she doesn't want to live in the Artic cold weather. Wouldn't South America Be Better!. Now days Brides and Groom love to have unique, whimsical wedding glasses as their toasting glasses. Our customers come up with the best designs. 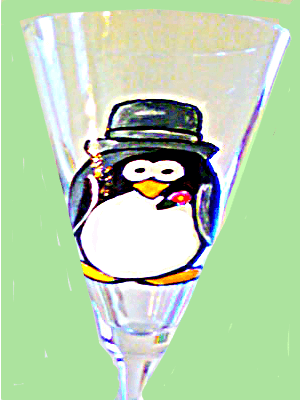 Let us hand paint bride and groom wedding glasses for you. Request a Design in the bride and groom champagne glasses in Special Request Box. If ordering products with different quantities, place each product in cart separately.